The Rockabilly Gran Prix bicycle race returns for its fifth year June 17 – 18, 2017 in Jackson, TN. The race weekend, featuring three races; The Bicycle City Rockabilly Road Race, the Rockabilly Time Trial, and the Hub City Bicycle-GIANT Downtown Criterium, attracts over 300 racers from all over the country to the city of Jackson and Madison County. The racers will vie for over $12,000 in prizes and the race benefits YoungLife of Jackson. The Bicycle City Rockabilly Road race is this Saturday morning at Trinity Christian Academy and features Tour-de-France style racing over distances from 11 for the juniors to 66 miles for the Pros. Starting at 8:00am Saturday afternoon features the Rockabilly Time Trial, also from TCA. This race is a five mile speed fest pitting each rider against the clock. 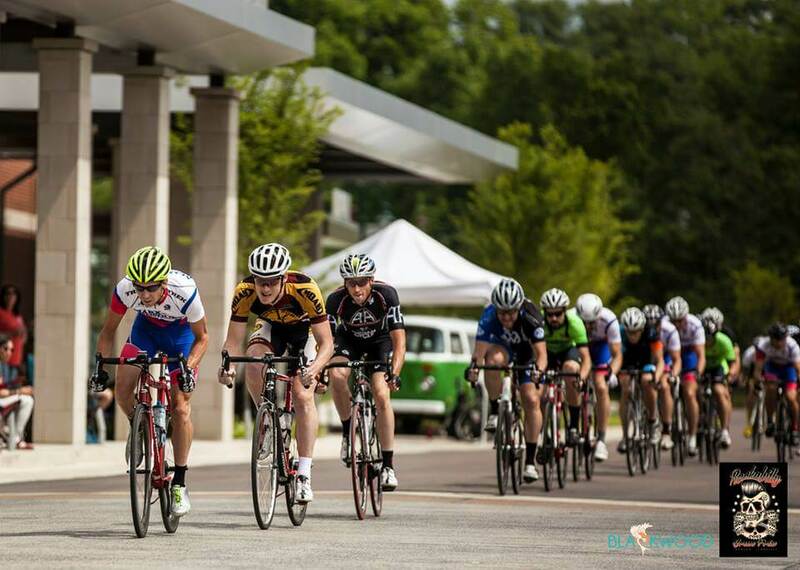 Starting at 5:00pm on Sunday, the race moves to the beautiful Jackson Walk/Lift Wellness Center area for the Hub City Bicycle-GIANT Downtown Criterium. Racing over short, fast laps the Criterium offers the best views for spectators! The Doublewides will be playing live rockabilly music and just before the Pros race at 2:30, The Lift Wellness Center will hold the Rockabilly Rascals kids’ races. In a first for the race, EPlus channel 6 will be broadcasting live from 12:00-4:00pm! Racing Sunday goes from 8:00am-4:00pm. Whether it’s an annual event or one of our great live music venues, experience what could only be “Made in Tennessee” found halfway between Memphis and Nashville in the heart of the Americana Music Triangle! Visit JacksonTN to connect with what is happening in Jackson and West Tennessee. Connect socially on Facebook and Twitter or call 731-425-8333.